Radiohead are quite literally disappearing completely. Earlier today, the band’s website slowly decreased in opacity to the point where it is now completely white. Meanwhile, all postings on the band’s Twitter and Facebook channels, including Thom Yorke’s own, have been deleted and the profile pictures are now white. Yesterday, Radiohead apparently mailed out cryptic leaflets reading, “Sing a song of sixpence that goes/ Burn the Witch/ We know where you live,” with an embossed Radiohead logo. “Burn the Witch” is the name of an unreleased Radiohead song dating back to the mid-2000s. All indications point to the imminent release of Radiohead’s ninth album. Yes Radio head new surprise release will be compared to Beyoncé. Nah, Radiohead did it first, albeit in a different manner with In Rainbows. I'm so excited for their next album, it's been AAAAAAAAAAAAAAAAAAAAAAGES. God knows those atoms for peace and thom yorke albums don't count. I just hope it's something besides the King Of Limbs/Atom For Peace electronic mumbles this go round. I think those two are different. TKOL was great. AFP had some nice songs like "Ingenue", but it's not Radiohead. I don't think you'll ever hear that 90s-Radiohead sound again, unless you play the 90s albums. my main problem is that the recent stuff is so much Thom mumbling incoherently (I associate the AFP album with a really bad migrane I had come on when I was listening to it, so it's some Pavlov's dog stuff for me lol). To me, The Daily Mail was better than anything off KOL and that was a leftover one-off single. Haven't bought it yet, I'm dying here!! Ed Sheeran was announced as the final headliner for the U.K.'s 2017 Glastonbuy Festival, hitting the Pyramid Stage alongside fellow top-billers Radiohead and Foo Fighters. The festival will run June 21-25 at Worthy Farm in Somerset. Radiohead's set at Glastonbury was superb! 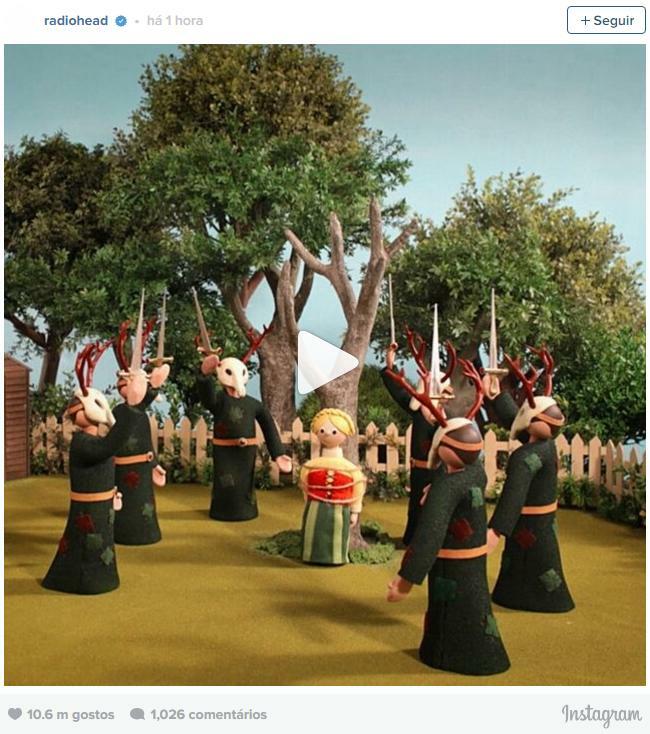 Radiohead have finally made “Ill Wind” available on streaming services. A B-side from A Moon Shaped Pool, the track originally appeared on a CD with the vinyl edition, alongside their would-be Bond theme “Spectre.” Listen to “Ill Wind” below, and check out its artwork via XL. I’ll just sit right here and sing that good old school sh@* to you!